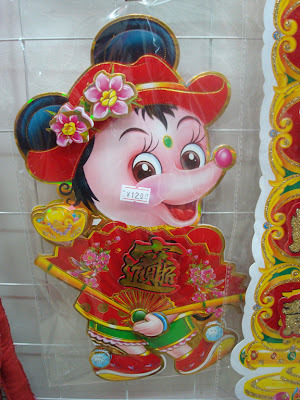 The Lunar New Year is not only big in China, it's also big in Kore. . . .BZZZZZZZ........WHHHHHHIIIIRRRRR. 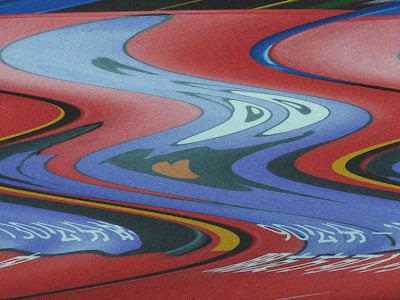 ... . .. .
. . . .BZZZZZZ. . . . WHRRR.. . .
GRIMACE: Hiya! 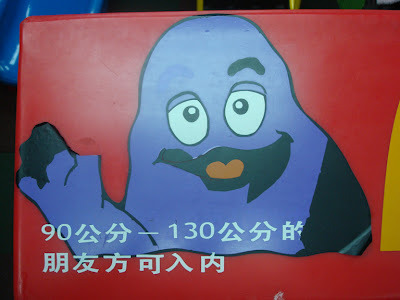 Grimace here from McDonald's in Beijing, China! 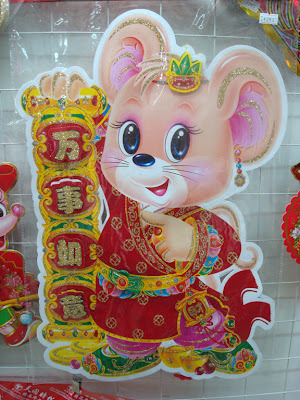 Sorry to interupt your regularly scheduled Korea & Animation blog, but I wanted to wish you all a Happy Chinese New Year! 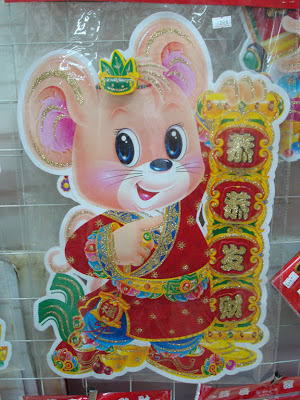 I also wanted to show you how China's celebrating the Year of the Rat. GRIMACE: Last year was a tough one. 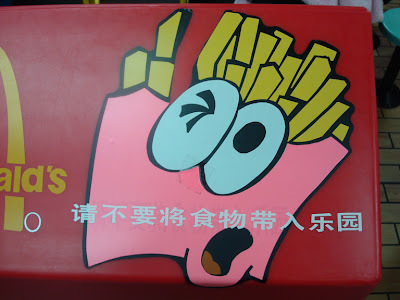 FRIES: Yeah, tell me about it!!! 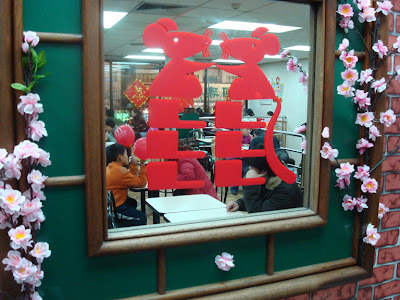 GRIMACE: To welcome the New Year, we are decorating McDonald's with rat images. 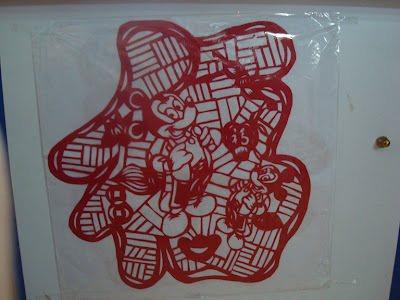 GRIMACE: See how we decorated this mirror! RONALD: Grimace!!! 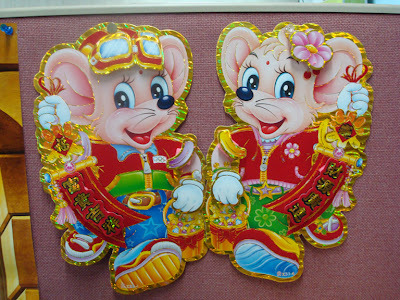 Don't forget to mention our promotional items!!! GRIMACE: Oh yeah! 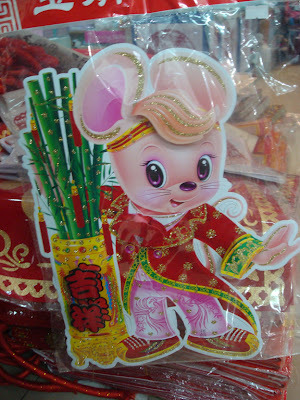 Don't forget to pick up some of our special rat goods if you can. 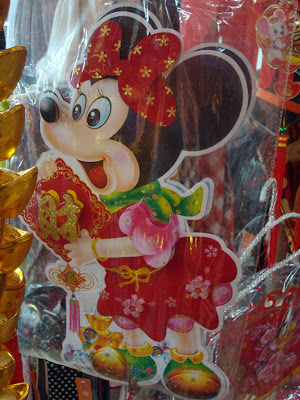 Maybe it's good luck? 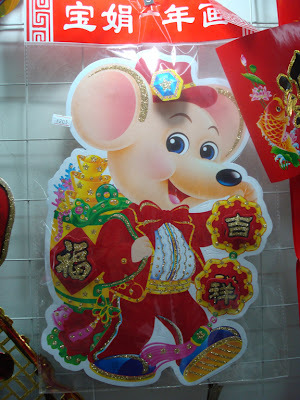 GRIMACE: But we here at McDonald's aren't the only ones celebrating the Year of the Rat. 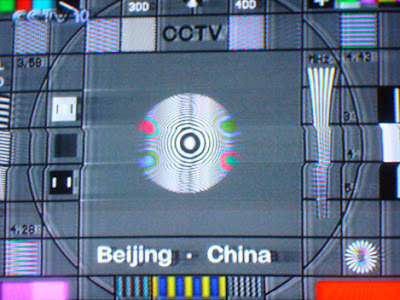 All of China is! 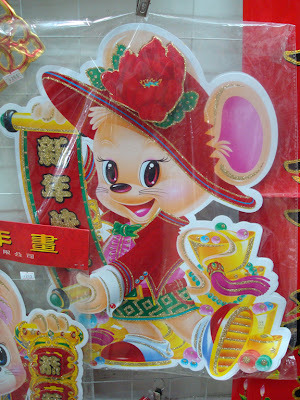 Here's a bunch of images of rat characters from China. 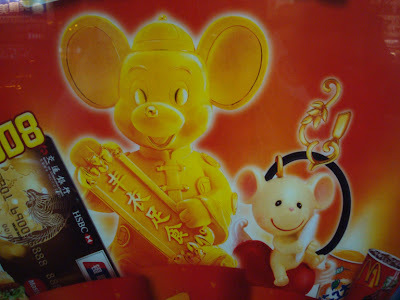 GRIMACE: The rat on the left is ready for the Summer Olympics! 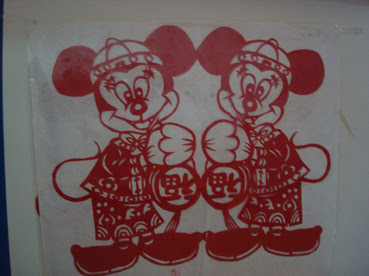 GRIMACE: Hey, isn't that Minnie Mouse? GRIMACE: Awwww, these are too cute! GRIMACE: Welp, thanks for listening! 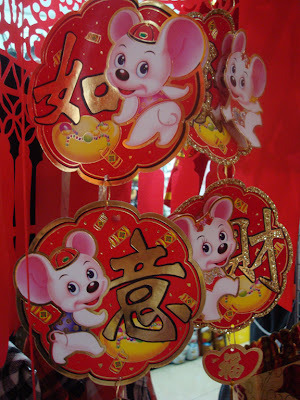 Happy Chinese New Year of the Rat! 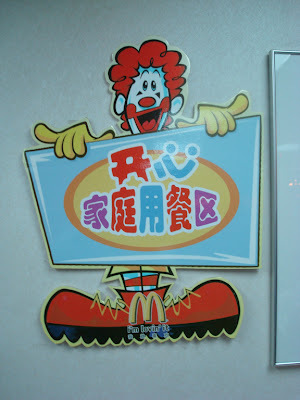 This is Grimace from McDonald's in Beijing signing off! 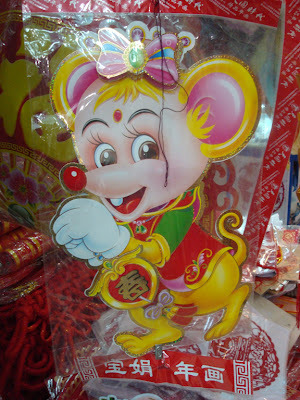 The Rat’s fixed element is Water. Although Earth has a negative relationship with the Water. 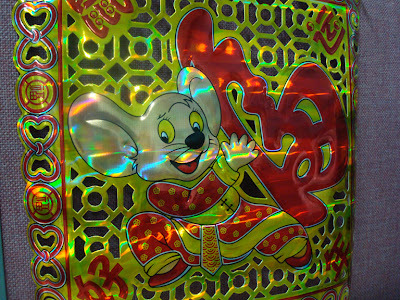 This is not entirely a bad thing, but it does mean that you should not be relying as much on luck this year. 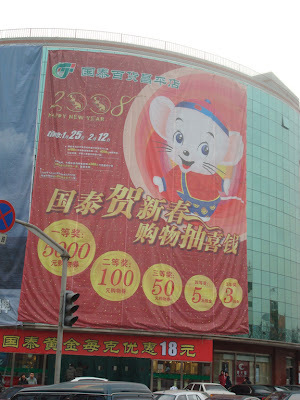 The combination of Earth and Rat is extremely positive in terms of achieving results. 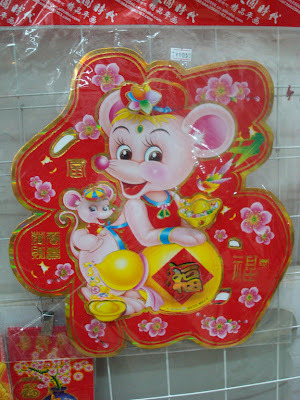 The Rat is a risk taker, while Earth is associated with practicality and stability. Therefore there is a good balance which in turn can lead to good profits, increased productivity and accomplishments in many areas of life. And, under Earth's stable influence there could be fewer scandals than in other, Rat years. 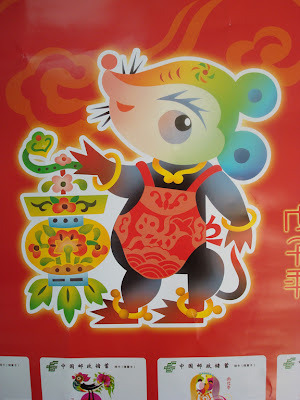 The year of the Earth Rat is also a good year for intellectual activities as well as art related activities such as design and graphics.